Retail digital signage is getting more and more popular in retail shop outlets but to get the most from it there are a few things that need to be considered. 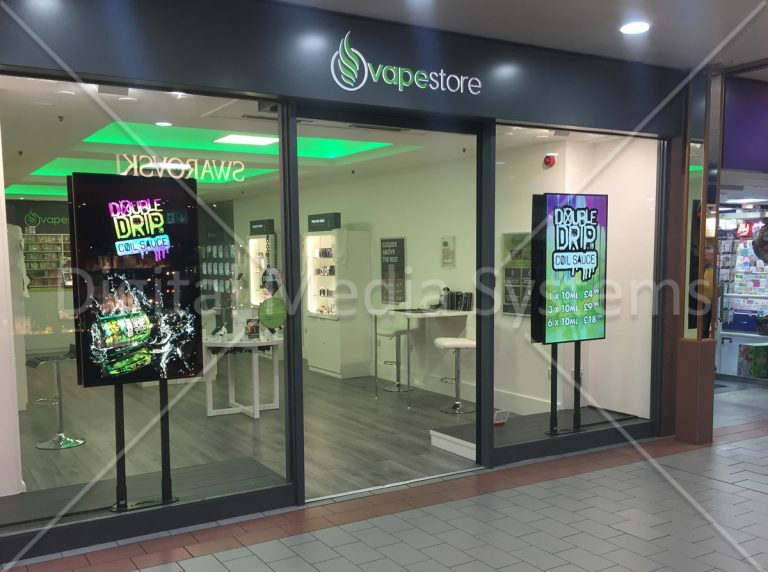 For most shops the benefit of using digital signage will be maximised by locating the displays by the windows at the front of the shop to replace or supplement the traditional window display. By ensuring passersby can easily see the signs it will maximise the views the signs gets and encourage people to enter the shop. Retailers using digital signage will mostly be using them in windows displays which introduces some challenges. With the additional light they are subject to they need to be very bright so they can be seen properly, especially if they are subjected to direct sunlight. Specialised high brightness digital window displays are needed to ensure great visibility, no blackening effect and to withstand the heat. For more information see our retail digital signage page. Even with high quality retail digital signs placed where they can be seen by many people, their success depends very much on the quality of the content. The content needs to be eye catching, relevant and get your message across. It should incorporate your branding and showcase your products the best it can and also be change regularly so it’s fresh and interesting. Using retail digital signs is a very good way to boost sales if done properly. For more information see our Retail Digital Signage page.